Still Photography, Photo Retouching, Multimedia Video and Production — Indermaur Media, inc. Still photography is the foundation of Indermaur Media. The experience of capturing one’s personality, conveying one’s message and/or brand, creating/producing a narrative story, and directing a video. Still photography can also be an effective component of multimedia videos. Indermaur Media's retoucher works closely with our clients to understand their needs. For example, if your brand has more of a cooler tone, we will make sure images are retouched on the cooler side vs. a warmer tone. We also have a video editor that is experienced in telling our corporate and commercial client's stories. 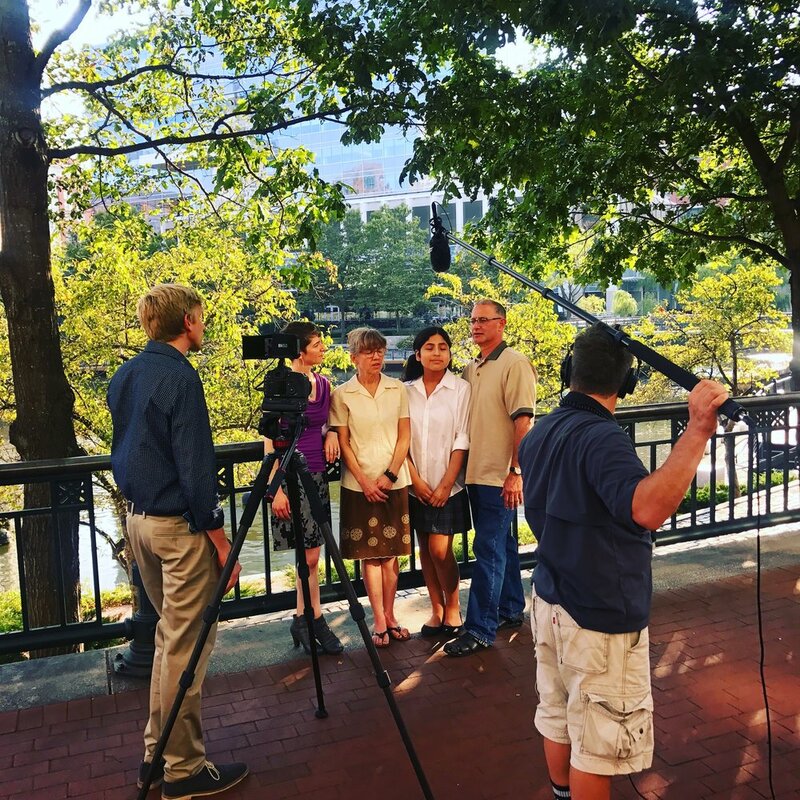 Indermaur Media’s team has proudly produced numerous multimedia video projects for clients in many industries including Retail, Financial, Transportation, Banking, Holistic Wellness and Entertainment. When a small team is needed or a larger one for videography projects, Indermaur Media scales up and down to fit your vision and budget so we can best tell your story. Photography and Video production have a broad range of needs. It can be as simple as Scott showing up to take some photographs, to crews of 30 individuals consisting of models, producer, assistants, cameraman, scout, client, stylist and art director. Indermaur Media has the experienced team in place to produce your assignment, whether if it's in Rhode Island or anywhere in the country or overseas. Talent Casting and Styling are available within the product line of Indermaur Media's staple offerings. Working with stylists like Jill and MaryElle, and finding talent with Stacey, Indermaur Media takes care of the details that make final projects stand out. Location Scouting if we have to fly in a hot air balloon, ride bikes through Boston city streets, or create a makeshift executive office in an empty warehouse, Indermaur Media has been available to find key locations, for reasonable prices on the shortest notice. We will make your project ideal for the vision you have.